Please join us in welcoming Alan Kratz Jr., E.I.T. to the Allen and Shariff Team. 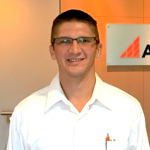 Alan started September 24th as a Commissioning Technician in the Columbia Engineering office. Alan graduated from the Virginia Tech with two degrees, a B.S. in Mechanical Engineering and a B.A. in Spanish, and has interned for The Whiting-Turner Contracting Company. Please join us in giving David a warm Allen & Shariff welcome!